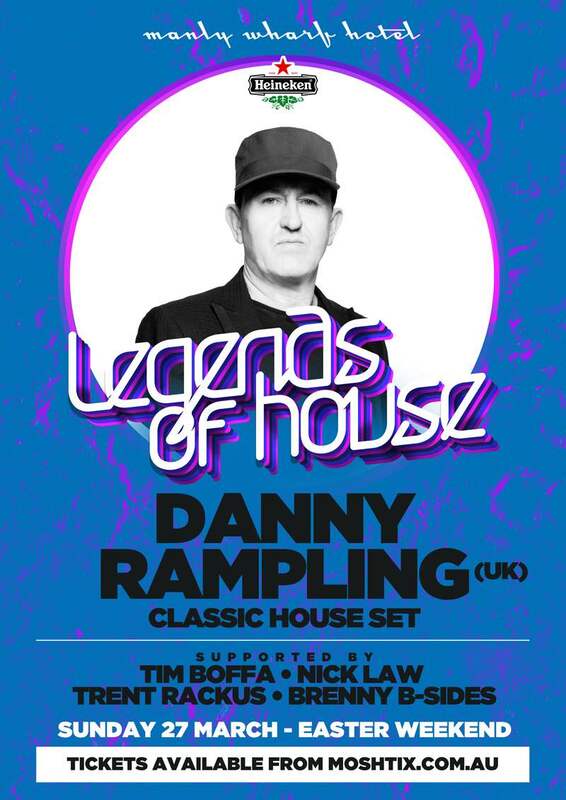 This Easter Sunday catch UK DJ, producer and party man extraordinaire Danny Rampling harbourside at Manly Wharf Hotel. As one of the first superstar DJs and a true pioneer and visionary of the global dance music scene, Danny has had residencies in some of the world’s most respected clubs. From Pacha to Privilege and everywhere in between, he paved the way for the music culture in Ibiza alongside Paul Oakenfold in the 80s and has been a regular face behind the decks on the island ever since. Local party starters Nick Law, Trent Rackus, Tim Boffa and Brenny B-Sides will be getting the party pumping as part of the Legends of House series’ top-notch program of musical entertainment.